Digital Brain Electric Activity Mapping collects EEG signal with electrodes, via integrated amplification, A/D transformation, PC auto-analysis, FFT, to form electroencephalogram that displays with color depth. 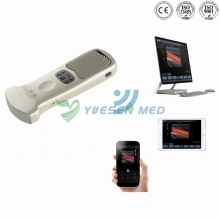 The product is applicable for checking such diseases as epilepsy, intracranial inflammation, cerebrovascular diseases and brain tumors. 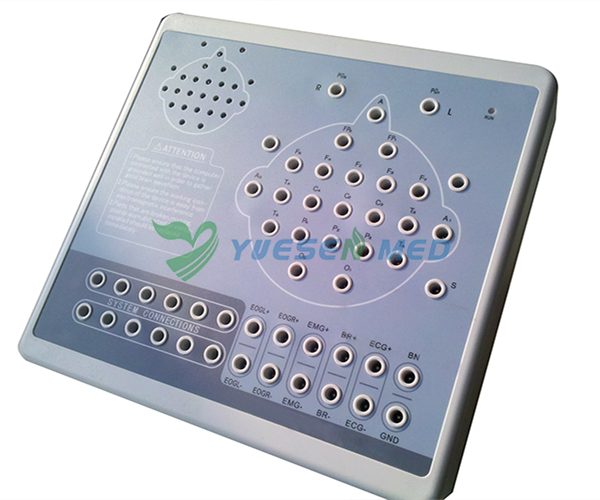 ◆Method of 10/20 electrodes placement under international standard system, leads can be changed during replaying. Support different types of combined leads during sampling. ◆Adopt bioelectricity amplifier for distilling brainwave, continuous recording time can be up to 24 hours, integrated full-automatic calibration system. ◆Powerful playback function: amplitude and display speed are adjustable. The special subdividing time line divides the waveform in one second into 5 parts, which is easy for doctors to look over the waveform. ◆EEG signal clipping function, analyze and store any section of EEG wave, and select several waveform segments for automatically analyzing and distilling to different parameters. ◆Electronic frequency ruler, convenient to measure the basic information of any appointed EEG waveform. 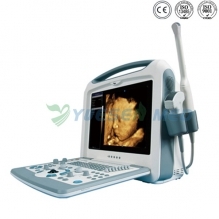 With partial enlarging window, accurate measurement of EEG period, amplitude and frequency, which can be adjusted according to personnel judgment. ◆Mark EEG wave under the events of opening eyes, closing eyes and flashing with different colors, and user-defined events can be added, waveform color for evoked event can also be set freely, ensures that the waveform in corresponding time can be rapidly found by event name during case playback. ◆Powerful automatic analysis function, can carry through the power spectrum analysis and pathologic wave detection for appointed waveform. Many graphs can be displayed in the same screen, including kinds of BEAM, numerical BEAM, compressed spectrum graph, trend graph, and so on. ◆Professional isolation transformer, dual power supply isolation system and optoelectronic data transmission to ensure security. Use USB interface to transmit data which just need to be inserted. ◆Multifunctional flash stimulator of USB interface, and flashing can be controlled manually or automatically. A flash stimulation scheme can be set and performed in the process of sampling. ◆Perfect case management function, provides many means for research and quick statistic information; convenient case export and import function, and stores with MO or CD-RW disk, which is easy for data research. ◆Integrative image and character report, report can be edited in mode and switched to Word document. ◆Case files can be transformed into EDF and BDF data format, convenient for data exchange, academic exchange and further analysis. ◆System parameters and display modes can be set as required, which meets different user’s requirement. ◆Add marks and annotations to the waveform designated, which can rapidly find the waveform in that time by marks. ◆Optional video function: USB camera is easy to install, convenient to use and exact to record. With flexible playback function, which can browse the waveform of any time along with the corresponding isochronous sampled image.